Discussion in 'Science, Tech, & Space Exploration' started by Toroid, Feb 1, 2019. The Israeli moon lander Beresheet will launch from Cape Canaveral, Florida on 02/18 aboard a SpaceX Falcon 9 Rocket and land between the Apollo 15 & 17 sites. It contains a digital time capsule. SpaceIL is behind the project and Il is another version of El or God. In alien circles the El's are the Elder Race. Beresheet is another spelling for Bereshit meaning in the beginning or Genesis in Hebrew. Israel's first moon lander has passed its final tests ahead of its historic blastoff on February 18th. SpaceIL's lander — which has been dubbed Beresheet, the Hebrew word for 'In the Beginning' will take off from Cape Canaveral on a SpaceX Falcon 9 rocket. It aims to land somewhere between the landing sites of Apollo 15 and 17, and will carry a 'digital time capsule' alongside a suite of scientific instruments. 'We are looking forward to the launch & the challenging journey ahead...'SpaceIL's CEO Dr. Ido Anteby said. If it is successful, Israel will be the fourth country to carry out a controlled 'soft' landing of an unmanned vessel on the moon. Since 1966, the United States and the former Soviet Union have put around a dozen of them on the moon and China did so in 2013, and earlier this year when it landed on the far side of the moon. 'The capsule will remain on the moon and stay in the environment of the moon and maybe in a couple tens of years someone will send a spacecraft to bring it back,' Anteby said. 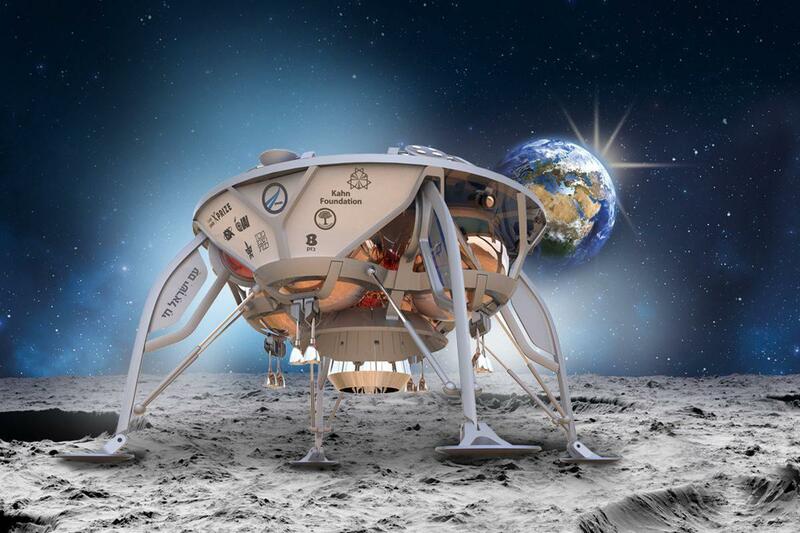 SpaceIL is backed mainly by private donors, including U.S. casino magnate Sheldon Adelson and billionaire Morris Kahn who co-founded Amdocs , one of Israel's biggest high-tech companies. SpaceIL was founded in 2011 by a group of engineers with a budget of about $95 million. State-owned defense contractor Israel Aerospace Industries has collaborated in the project. At 60,000 km (37,000 miles) above Earth, the spacecraft will split off from the Falcon launch vehicle. It will at first orbit Earth in expanding ellipses and, about two months later, cross into the moon's orbit. It will then slow and carry out a soft landing which should cause no damage to the craft. 'Our landing site is located somewhere between the landing sites of Apollo 15 and Apollo 17,' Anteby said. Israel Aerospace Industries manager Opher Doron stressed that the small craft, roughly the size of a washing machine, faces a 'difficult, arduous journey' because it will have to make a number of orbits before landing. If successful, the team promises the landing will be a breakthrough for Israeli technology and commercial space travel. The Beresheet spacecraft is having problems. At certain angles the sun's glare confuses the orientation. The onboard computer rebooted itself and has an ability to enter a safe mode. The plan is to have it orbit the earth six or seven times in larger & larger ellipses then head to the moon. The logic behind that is to save fuel. It's still scheduled to land on the moon on 4/11. Maybe they know where human DNA was fashioned and it's near the location where it'll land. The spacecraft contains 30 million pages of human history and 60,000 images on 25 nickel discs. More information will be added in the future to the space-based archive. Tucked away inside Israel’s Beresheet lunar lander, currently on its way to the Moon, is a massive archive documenting humanity’s achievements. The collection of images, text and symbols is the first part of a project to build a “Lunar Library” and part of a bigger push to create a space-based archive of Earth. According to the Arch Mission Foundation (AMF), the library contains 30 million pages of human history that covers a wide range of subjects, languages and time periods, all stored on a DVD-sized archive made of 25 nickel discs that are each only 40 microns thick. An 84-page document that AMF provided to Gizmodo showed subject categories in the time capsule including aerospace, mathematics, women's studies, humor and criminology. "We’re only announcing some of the content in the library right now because of the various partnerships we have. Much more content will be revealed. ... Rather than rely on problematic curations of material, we want to include the full breadth and diversity of recorded human knowledge and culture and a record of the life and civilization of planet Earth." There will be more discs sent to the Moon in the coming years, including in partnership with Astrobotic next year. The Beresheet lander was launched by a SpaceX Falcon 9 rocket and could reach the Moon by April 11. The lander and its time capsule will remain on the Moon indefinitely. Deuteronomy 4:11 You came near and stood at the foot of the mountain, a mountain blazing with fire to the heavens, with black clouds and deep darkness. NASA has an experiment smaller than a computer mouse piggybacking the Beresheet spacecraft. It's a laser retro-reflector array comprised of eight mirrors made of quartz cube corners that are set into a dome-shaped aluminum frame. The Beresheet spacecraft has arrived in orbit around the moon. It didn't land properly or crashed. This picture was taken by the craft before it crashed. It was only a few hundred feet above the surface when they lost contact with it. It seems a little odd that the spacecraft failed almost at the last moment. One has to wonder if sabotage was a factor. There's a story they set off charges on the moon in 60's & 70's. The moon rang like a bell for hours which would have upset the interior residents. If the story is true it would confirm the moon has a reactive hull. They're going to build a Beresheet 2.0. A manual command causing the main engine to shut off appears to have been the cause of the crash. A preliminary investigation into what caused Israel's Beresheet spacecraft to crash-land on the moon April 11 puts the apparent blame on a "manual command" that was entered into the spacecraft's computer. 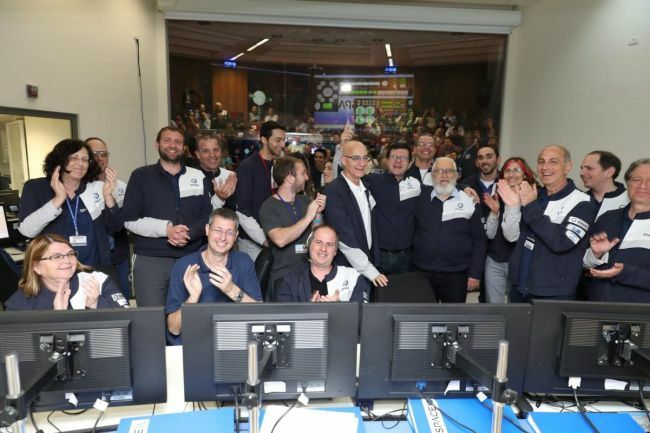 "This led to a chain reaction in the spacecraft, during which the main engine switched off, which prevented it from activating further," according to a statement released today (April 17) by Beresheet's handlers, the nonprofit group SpaceIL and the company Israel Aerospace Industries (IAI). Teams continue to investigate further, in order to understand the full picture of what occurred during the mission, the statement says. "In the coming weeks, final results of the investigation will be released." Meanwhile, researchers are on the lookout for a NASA piggyback experiment that may have survived Beresheet's destructive April 11 crash landing. NASA's Lunar Reconnaissance Orbiter (LRO) will target the crash site repeatedly, eyeing the area with its high-powered cameras. In addition, LRO will use its onboard Lunar Orbiter Laser Altimeter (LOLA) in an attempt to detect a NASA-provided laser retro-reflector array in the Beresheet wreckage zone. 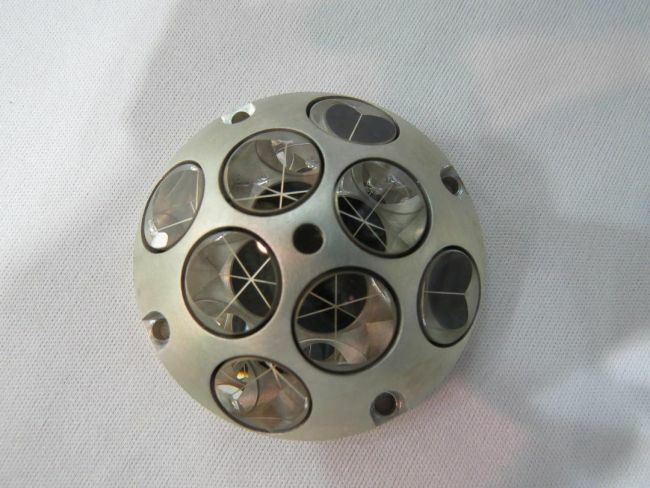 Called the NASA Goddard Space Flight Center/MIT Laser Retroreflector Array (LRA) for Lunar Landers, the ball-shaped device was located on the top side of Beresheet. From the high-flying LRO, laser beams generated by LOLA would strike the device and then bounce back to the orbiter. For each laser beam, LOLA measures its time of flight, or range. While there will be many attempts to target the wreckage, LRO is directly over the site only twice per month, and one of those passes occurs in darkness (which is not an issue for the laser), explained the Massachusetts Institute of Technology's David Smith, the principal investigator for LOLA and an emeritus researcher at NASA Goddard in Greenbelt, Maryland. "But the site can be viewed on several passes around the 'overhead' pass by looking off to the side or forward or backward. This requires the spacecraft to slew or roll to see the target," Smith said. "That's a decision that LRO makes to ensure there are no issues with regard to constraints on pointing close to the sun or star cameras being able to see the stars (and not the lunar surface)," he added., So, the process requires requests for slew and role magnitudes and directions to the LRO project for a specific observation time. "It may take 10 to 15 minutes for the spacecraft to turn to the desired direction and another 15 minutes to return to its normal nadir mode for just a few seconds of observations," Smith told Inside Outer Space. "I am sure the project will start to attempt observations as soon as possible," Smith said. LRO's camera system and the laser are co-boresighted, "so when the camera slews to take an image, the laser altimeter automatically goes with it and will attempt to make a range observation at the same time." They currently believe a manual command entered into the craft's computer caused it crash. the apparent blame on a "manual command" that was entered into the spacecraft's computer.